The Provo City Library was founded in 1905. Prior to 1905 there were efforts to establish library service in Provo. In 1854 there was a collection of 120 volumes for community use. By 1870 the Provo City Library and Reading Room Association was founded only to dissolve about two years later. In 1875 the small collection became available on the library shelves of the Brigham Young Academy. Karl G. Maeser, the Academy's principal stated that "the Library has received an encouraging start by having the privilege of placing the books of the Provo City Library upon its shelves." In 1905 the "Book Club" was founded with the purpose of acquiring a Carnegie Library Building for Provo. In 1905 the City Council appointed a board of Trustees for the Provo Free Public Library and Reading Room. The trustees began corresponding with Andrew Carnegie, a noted philanthropist who funded the construction of hundreds of libraries across the nation. Carnegie funding had several requirements which the Board began working to meet. 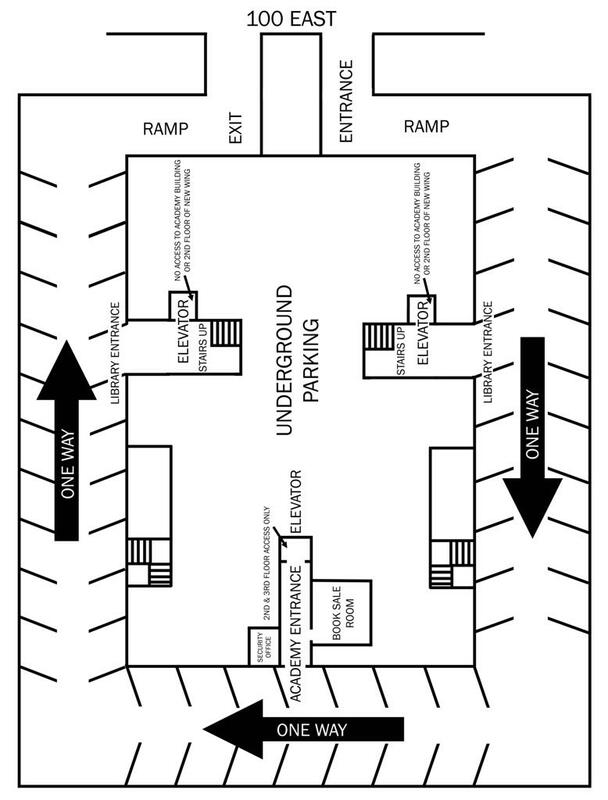 In October 1905 the Library was given approval to occupy the basement of the Courthouse. On January 2, 1906 the Library opened with a collection of 1,425 books donated by individuals in the community. The collection doubled in the next two years, having 3000 volumes by April of 1908. Andrew Carnegie granted $17,500 for the construction of a new building. Provo City also contributed to the project and land was acquired by the City from Jesse Knight at 15 North 100 East. On December 1, 1908 the Library moved into a new building provided by a grant of $17,500 from Andrew Carnegie. By 1924 it was noted that "the institution is greatly in need of more room". 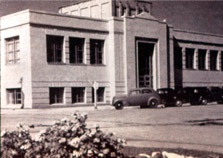 With $59,000 from the WPA the remodeled and expanded facility opened on July 28, 1939. The collection then had 27,827 volumes and 90 magazine subscriptions. 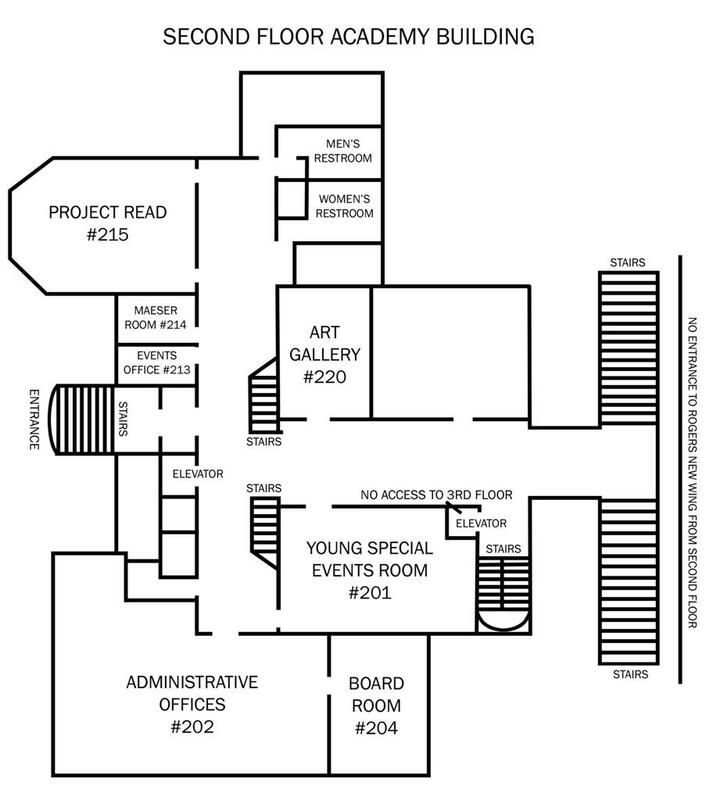 An Art Center was located in the basement of the Library which provided art instruction and exhibits. By 1975 the Library had grown to 65,000 volumes and 125 periodical subscriptions. 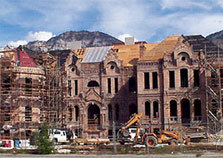 The expanded and remodeled Carnegie building served the citizens of Provo until 1989. The Library moved to a new facility next to the city offices at 425 West Center Street in 1989. 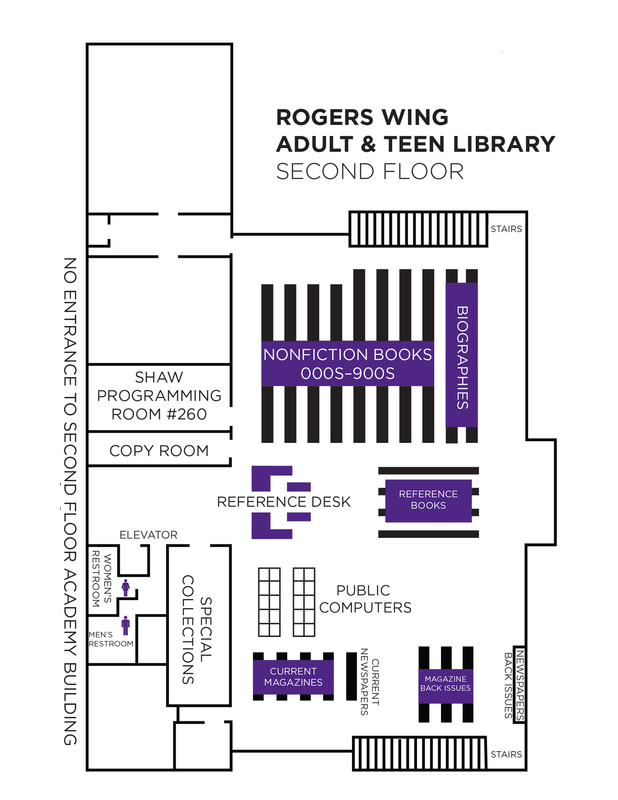 Although this facility provided 29,000 square feet of space, the Library grew rapidly and soon had inadequate space for either materials or programs. In February 1997 a $16 million library bond passed with 58% of the vote. The bond preserved the historic Brigham Young Academy building at 550 North University Avenue, owned by Provo City, from demolition. 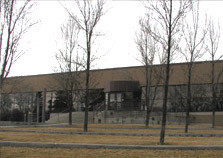 The Brigham Young Academy Foundation raised an additional $5.8 million in donations by June 30, 1997 for the renovation. Ground was broken on July 9, 1999 and the dedication occurred on September 8, 2001. The Brigham Young Academy building opened its doors in 1892. The architect was Don Carlos Young (son of Brigham Young) who based the plans on the designs made by Karl G. Maeser, the Principal of the Academy. One of the largest school buildings in the Rocky Mountain region at the time, the Academy could accommodate 1,000 students. The Brigham Young Academy later became Brigham Young University. Located at the northern edge of the city, the large building was constructed of locally manufactured brick trimmed with sandstone and wood. The roof was composed of metal shingles. Room D, now known as the Ballroom, was a large room used as a study hall and library as well for assemblies and occasionally for dancing. A portion of room D housed the library until 1925 when the Heber J Grant Library opened on the upper campus of Brigham Young University. Electricity generated from A.O. Smoot's sawmill two blocks to the west provided for electric lights in the building. Heating for a portion of the building was accomplished by forced air over steam radiators; the remaining rooms were heated by coal. The bell tower had no bell until 1912. Up until then a triangle hanging in the main hall was struck to signal classes. Unfortunately, the bell install in 1912 was of poor manufacture and had a very dull sound. In 1919 the old Provo Tabernacle was razed and the nickel bell cast by the McShane Bell Foundry in Baltimore was installed in the Academy bell tower. The name of the building has changed several times. In 1898, it was renamed the High School building. In 1922, the name changed again to the "Education Building", which it remained until 1968. 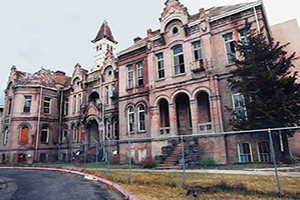 After Brigham Young High School was closed in 1968, the buildings on Academy Square stood vacant for over 20 years. The buildings suffered considerable deterioration during this time. The buildings were slated for demolition when a last attempt was made to preserve them. The Brigham Young Academy Foundation spearheaded the effort. 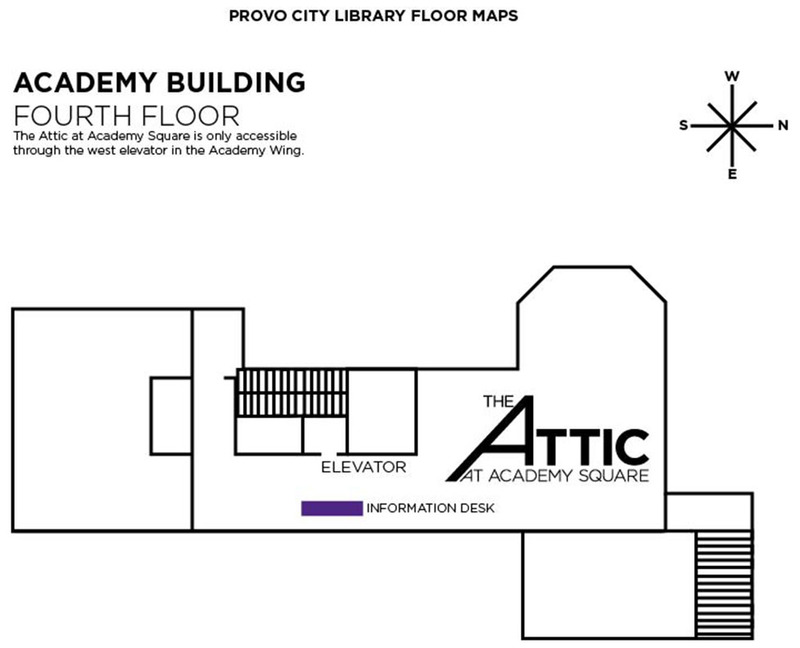 The Foundation funded a feasibility study to determine the possibility of using the Academy building to house the Provo City Library. 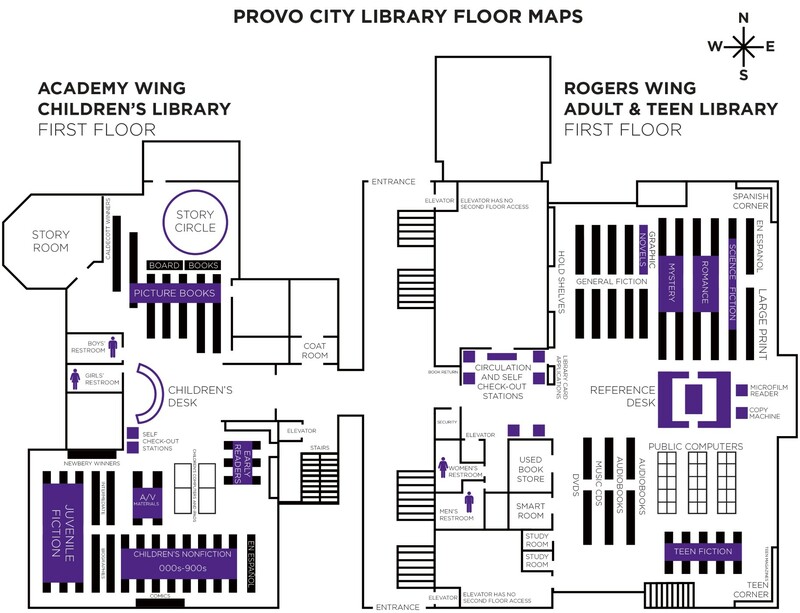 The Foundation also waged a successful campaign in the February elections of 1997, wherein a $16.8 million library bond was passed by the community of Provo. The City required that the Brigham Young Academy Foundation raise $5.8 million to cover the costs of renovating and bringing the building up to code. These funds had to be raised by June 30, 1997. The deadline was met and the project went forward. You can find more images of the construction of the library and the completed building on the Photo Albums page. 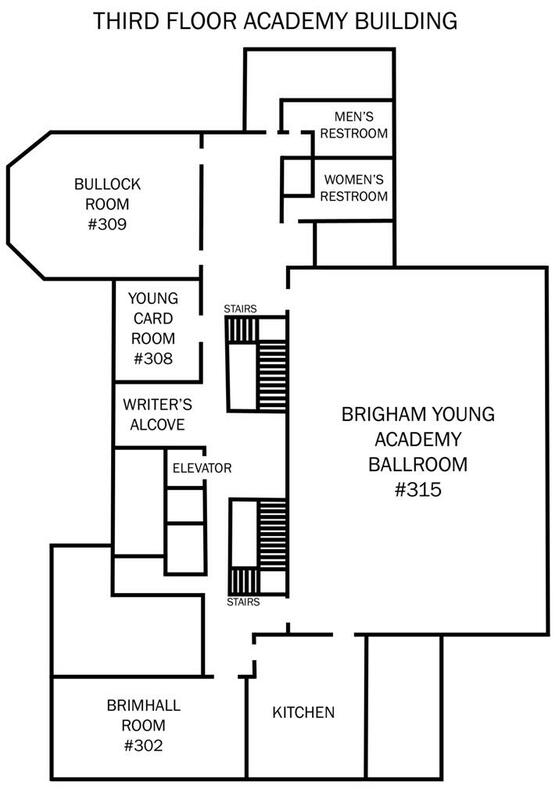 For more information about the history of the Academy Building, Brigham Young Academy and Brigham Young High School.